Canon EOS-5D Mark IV full frame camera? Canon celebrated the 10th anniversary of the EOS-5D model line in September 2015. The latest models of 5Ds are the EOS-5Ds and EOS-5DsR cameras. I have posted a comparison between the EOS-5D Mk III and EOS-5Ds for those who are contemplating buying either camera or upgrading to one. The current 5D3 is an excellent camera and my pick as the best value in full frame photography. My attention is focused on early to mid 2016 when Canon plans a second round of upgrade to their full frame camera lineup by announcing the EOS-1D X Mark II and EOS-5D Mark IV. Both cameras are expected to have new sensors and processors with unmatched dynamic range and high ISO performance. The EOS-1D X Mark II is expected to be announced first, perhaps in early Q1 and a late Q1 to early Q2, 2016 delivery date. There is a rumor Canon may split the successor of the venerable EOS-5D Mark III camera into two, one model may be equipped with a lower megapixel sensor geared towards the high ISO crowd and another model with a high 20MP sensor for the rest. I find this rumor dumb and implausible. Canon already has a megapixel champ in the EOS-5Ds and EOS-5DsR. Very few photographers chase high ISO performance for the sake of it. The current EOS-5D Mark III already has very good ISO performance. Further splitting the popular EOS-5D line will 'confuse' buyers even more when they contemplate on upgrading from their Rebel and EOS-6D cameras. My readers know I am a wildlife photographer. After resisting for many months, I have finally and reluctantly replaced my faithful full frame Canon EOS-1Ds Mark III camera with the EOS-5Ds. The main reason is the super high resolution 50MP sensor and the flexibility of the EOS-5Ds to take photos in the 1.3x and 1.6x crop mode. These advantages offset the disadvantage of its slow 5 fps burst rate. My main 'complaint' of the EOS-1D X is its relative modest 18 MP sensor does not offer too many pixels for post processing cropping and I am not a big fan of extenders. 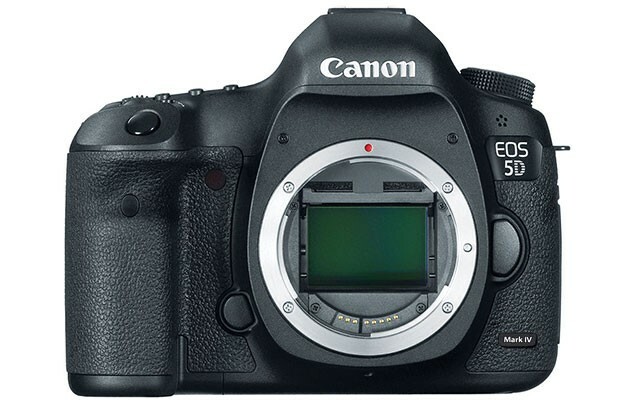 The EOS-5D Mark IV may be announced Q2 of 2016, with delivery in the following quarter. Canon has invested a lot of time and money into this camera. They put on an invitation only Exposition (once every 5 years) in New York City and Paris in September, 2015 but kept the development of the camera under wrapped and did not discuss it at all during the show. The following are the best information I have right now for the upcoming EOS-5D Mark IV camera. Keep checking back for the latest development. Possible announcement date - Q1 - Q2, 2016.